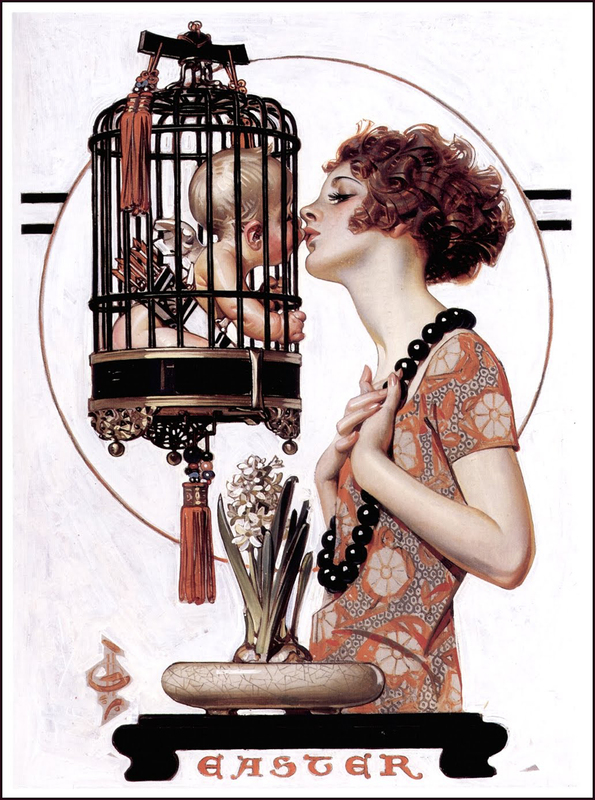 J.C. Leyendecker and The Saturday Evening Post. 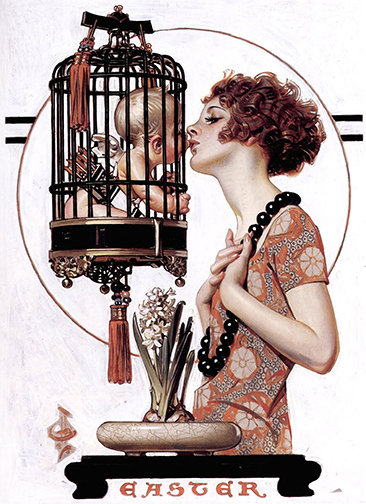 J.C. Leyendecker (1874-1951), “Kissing Cupid,” 1923. Cover illustration for “The Saturday Evening Post,” March 31, 1923. Oil on canvas. The Kelly Collection of American Illustration. 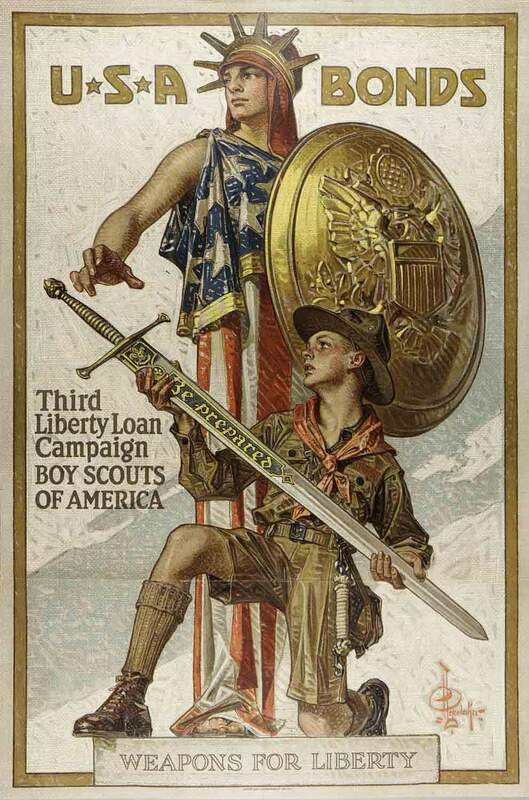 Admired by Norman Rockwell as a master in the field, Joseph Christian Leyendecker (1874 –1951) was one of the preeminent American illustrators of the early twentieth century. 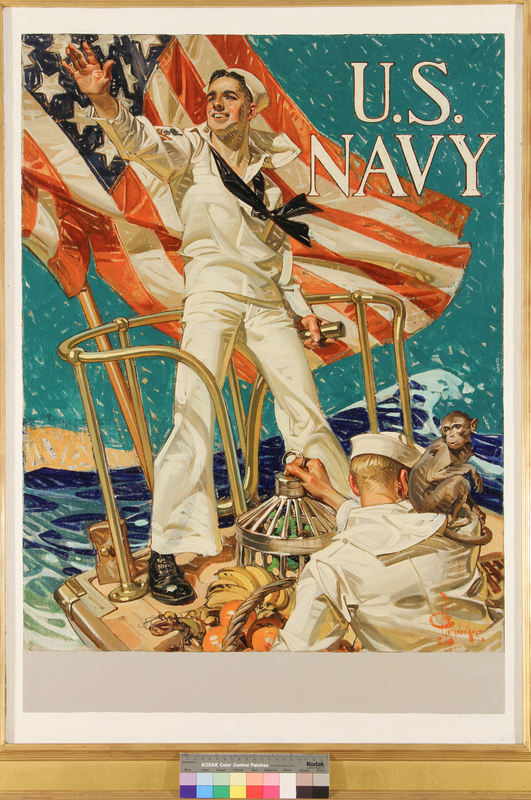 Often remembered for his beautifully conceived posters and advertisements, particularly those featuring The Arrow Collar Man, he also created 322 covers for The Saturday Evening Post—one more than Rockwell’s 321. This gallery installation features a special selection of more than thirty original paintings by the artist, including original Post cover illustration, elegant clothing advertisements, and rarely-seen New Year’s Babies. Works by F.X. Leyendecker, the artist’s talented brother, are also on view. This exhibition is sponsored by William and Sandy Hargreaves, Valerie & George Kennedy, and Carol Konner. We are grateful to our lenders, William Hargreaves, Carol Konner, The Eisenstat Collection of Illustration, Illustrated Gallery, The Kelly Collection of American Illustration, National Museum of American Illustration, and other private collections for making rarely-seen original artworks available for exhibition. 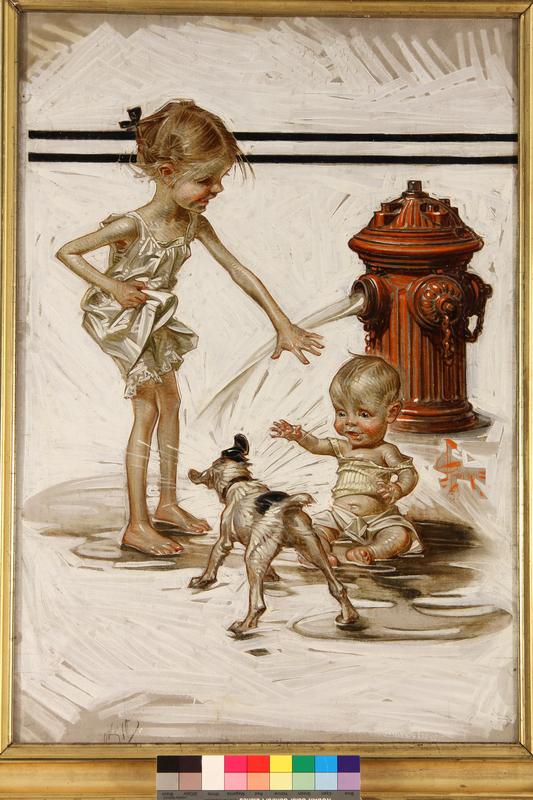 J. C. LEYENDECKER (1874-1951) Fire Hydrant Shower 1915 Cover illustration for The Saturday Evening Post, July 24, 1915. Oil on canvas. Private Collection. J. C. LEYENDECKER (1874-1951) Kissing Cupid 1923. Cover illustration for The Saturday Evening Post, March 31, 1923. Oil on canvas. The Kelly Collection of American Illustration. J. C. LEYENDECKER (1874-1951). Soldier’s Letter to Home, 1917. 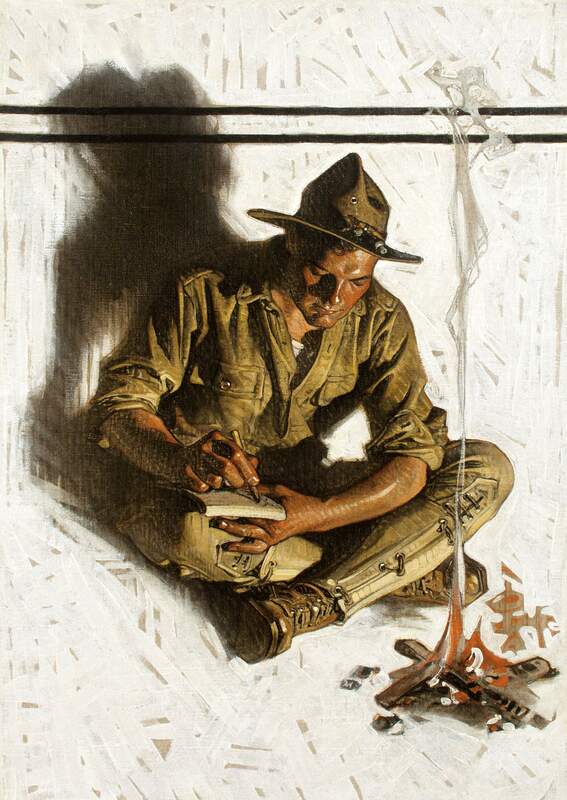 Cover illustration for The Saturday Evening Post, October 7, 1917. Oil on canvas. Collection of Illustrated Gallery, Fort Washington, PA.
J. C. LEYENDECKER (1874-1951) Beau Brummel is the Fairest 1925. 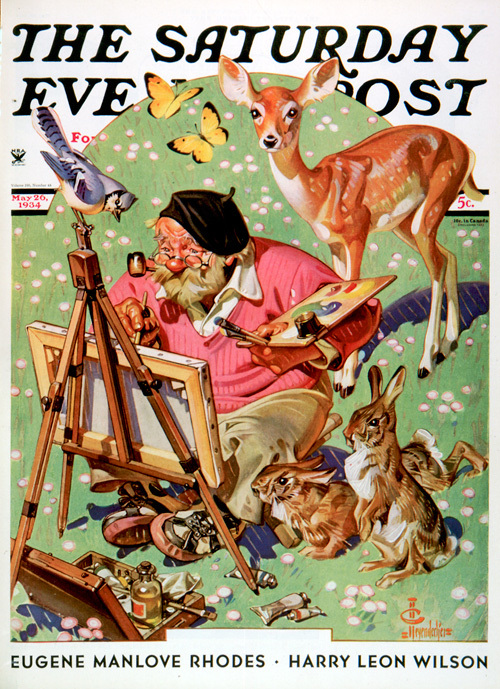 Cover illustration for The Saturday Evening Post, April 11, 1925. Oil on canvas. The Kelly Collection of American Illustration.